Today’s Flash Back Friday comes from Episode 80, originally published in March 2012. Join Jason Hartman and co-founder and director of Neuro Leadership Institute, Dr. David Rock, as they explore conceptual issues of the brain as it pertains to work, such as focus, managing distractions, why our brains feel taxed, and how to maximize mental resources. Dr. Rock explains how being able to get a mental picture makes it easier to process and hold information, but when you can’t come up with a mental picture, you’re more likely to lose your train of thought or have more difficulty retaining connections, causing the brain more stress. Dr. Rock also discusses optimal times for scheduling work, meetings, and undisturbed workspace. He stresses that creative work needs a lot of space in the brain, as well as a lot of quiet. “Creative work first, urgent/important second, and everything else after,” says Dr. Rock. Dr. Rock also shares the many types of quirks of the brain, such as a blue room with high ceilings increases creativity, or changing rooms actually makes it difficult to access memories formed in the previous room. His suggestion is that people need to create their own workspace. Additionally, he talks about the unconscious and conscious brain and how breakthrough moments tend to happen when trying to solve a difficult problem. The quiet brain is most important for solving problems. Dr. Rock delves into the five domains that the brain is always tracking. It is very important that we don’t get a “threat” response in any of these domains because they activate the brain’s pain network, leading to defensiveness. David is the founder and CEO of Results Coaching Systems (RCS), which has operations in 15 countries across the globe. In his capacity as CEO, David works with Fortune 500 clients specializing in embedding internal coaching capacity within organizations to develop leaders, retain talent, improve performance, and change culture. 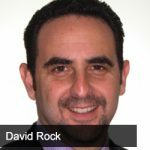 David Rock is one of the thought leaders in the global coaching profession. The integrated coaching system he developed in the mid-90’s has been taught to over 10,000 professionals in more than fifteen countries. He is the author of Personal Best, (Simon & Schuster, 2001), Quiet Leadership (Harper Collins, 2006), Coaching with the Brain in Mind (Wiley & Sons, 2009), and Your Brain at Work (Harper Collins), which was released in October 2009. In 2004, David founded the brain-based approach to coaching, which has gathered momentum as a theory base for coaching ever since. In collaboration with several leading neuroscientists, David is working to explain the neural basis of issues like self-awareness, reflection, insight and accountability. In 2006, he co-authored a feature article in strategy business magazine with neuroscientist Dr. Jeffrey Schwartz, called “The Neuroscience of Leadership”, the most downloaded article of the year at the magazine. In September 2006, CIO magazine ran a cover story featuring David and Jeff’s work called “The New Science of Change”. In late 2006, David founded the NeuroLeadership Institute and Summit, a global initiative bringing neuroscientists and leadership experts together to build a new science of leadership development. David also co-created a complete coaching curriculum at New York University (SCPS) and is a guest lecturer at universities in five countries.